From football to fishing, coastal conservationist Walter Fondren III always went the extra yard. The most any of us can hope for at the end of our lives is a vibrant and distinguished legacy. What’s so remarkable about Walter Fondren III is that he left so many. Fondren passed away in January 2010 at the age of 73. The grandson of Humble Oil Co. founder Walter Fondren Sr., he was born into one of Texas’ most influential families. Growing up in such an environment, he could have been content to rest upon the family laurels. However, Fondren’s fortunate status only motivated him to excel on his own terms. He achieved his goals with a dogged determination and quiet grit that invariably served him well. At various stages of his life, Walter Fondren was an entrepreneur, a philanthropist, a conservationist and a sportsman. First, however, he was a football player. In 1953, as a junior, he led Houston’s Lamar High School to the state championship and was named Outstanding High School Football Player of the Year by the Texas Sports Writers Association. Two years later, at the University of Texas at Austin, he became the first starting quarterback under the tutelage of legendary coach Darrell Royal. He captured several honors, among them All Southwest Conference halfback in 1955. Perhaps most impressive of all, he set the record for most minutes played in a season. To garner so much playing time, Fondren did what is now completely unthinkable in the realm of college football. He played both offense and defense. Blending a spectacular mix of natural talent with rugged resolve, Fondren was a powerful triple-threat ball handler, a gifted player who could punt or pass a football as well as he could run with one. That versatility — the innate and uncanny ability to see the entire field of play from all possible perspectives and then dissect it with the mental precision of a surgeon — would greatly define the man that Fondren would become in the coming years. By any definition, Walter Fondren III was a Renaissance man. Aside from his gridiron gifts, he was an astute and persistent businessman. He graduated from UT (a degree in geology) with skills that would serve him well in his decades in the oil and gas industry. He was an early Whataburger franchisee who, before selling the business in the 1970s, owned stores in Texas, New Mexico and Arizona. Nonetheless, it is as a conservationist and sportsman that Fondren is arguably best known. He hunted and fished worldwide, but his profound fondness for the Texas Gulf Coast was always apparent. It was no surprise that when Texas redfish and speckled trout populations foundered beneath the unrelenting pressure of illegal commercial gill netting, Fondren was the one who rallied the charge for reform. From the banks of his family getaway in Port O’Connor, Fondren could see the future. It wasn’t pretty. A flats boat running across San Antonio Bay on a cold November morning in 1976 was just as likely to snag a monofilament gill net in the prop as not. Corralled by vast and invisible walls of netting, especially during the fall and winter, massive schools of redfish were being hauled from the flats by the truckload. The situation was begging for a leader, someone who had both the means and the political know-how to effectively organize a task force of sorts and then keep it on track. The Texas “Redfish Wars” of the late 1970s were fueled by a delicate and often-volatile mix of political offense and defense. That Fondren rose to the challenge, and ultimately prevailed, surprised no one who knew him. 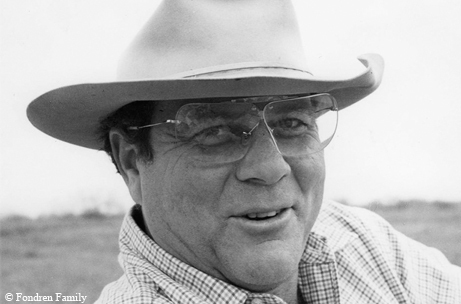 In 1977, he became founding chairman of the Gulf Coast Conservation Association. Roughly four years later, via House Bill 1000 (the “Redfish Bill”), the fish that Texas Parks and Wildlife Department biologists know as red drum and spotted sea trout were protected from commercial harvest. To Texas recreational anglers, it meant that trout and reds were to rebound at last, greatly aided in the years to come by the nation’s premier network of angler-funded saltwater fish hatcheries. Now greatly expanded and renamed the Coastal Conservation Association, CCA has chapters in 17 states (as well as 206 local chapters), 150 national board members, almost a thousand state board members and a general membership of close to 100,000. During his tenure, Fondren stayed vitally engaged as the association grew to encompass the Gulf states, the East Coast and, most recently, the Pacific Northwest. Time and again, through media acknowledgment or awards granted by various groups, the husky, broad-shouldered Texan did his best to funnel attention to other individuals whom he sincerely believed to be more deserving. Artist Sam Caldwell, who for decades has painted iconic watercolor images of the Texas coast and donated a great many of those paintings to CCA, vividly recalls Fondren’s aversion to attention. Another Fondren confidant, CCA staffer Bill Kinney, has long worked as director of the CCA Texas STAR Tournament. The job kept him in constant touch with Fondren, whom he describes as “the dearest of my friends, a teacher and a mentor. What he was not was patient,” Kinney adds with a chuckle. “He’d want me to go fishing with him at 9 a.m., I’d tell him that I didn’t have time, and he’d tell me that if I couldn’t get my job done by noon, it was obviously too big for me. “That one really smoked me,” says Kinney. 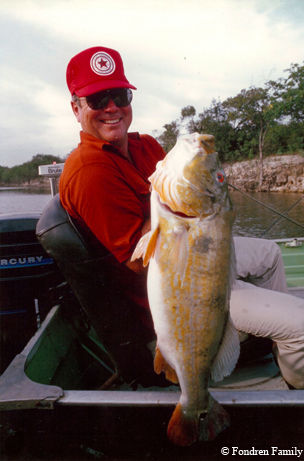 Fondren, who served on the Gulf of Mexico Fishery Management Council from 1982 through 1992 and was council chairman in 1989-90, received too many accolades to count on behalf of his marine conservation efforts. A member of the Billfish Advisory Committee since 1994, Fondren was honored with the Harvey Weil Sportsman/Conservationist Award and the prestigious Charles H. Lyle Award from the Gulf States Marine Fisheries Commission. 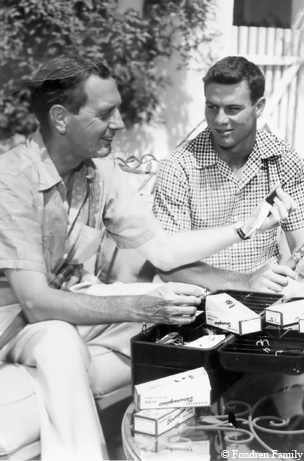 Named one of the 50 Legends of Fishing by Field and Stream magazine, he was later inducted into the International Game Fish Association Hall of Fame. Fittingly, in 2006, he was the first recipient of the CCA Lifetime Achievement Award. As his most precious legacy, Fondren left behind Fran, his wife of 53 years, six children, 18 grandchildren and two great-grandchildren. 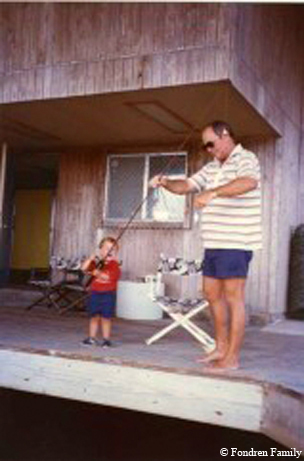 Walter Fondren IV, who is following in his dad’s footsteps as director of Port O’Connor’s legendary Poco Bueno billfish tournament, remembers his father as the most detail-oriented person he has ever known. “His most memorable moments were spent at UT, playing football for Darrell Royal,” he says. “He remembered the plays, all of them. Try to remember a day you spent in college. My father remembered those games in detail, all the way to a third-down-and-25 situation with five minutes left in the fourth quarter. That, perhaps as much as anything, personifies the essence of Walter Fondren’s multifaceted legacy. For men of his ilk — and there are precious few — inspiring others to achieve while quietly blazing a pathway toward the ultimate goal and victory is the greatest of life’s trappings.